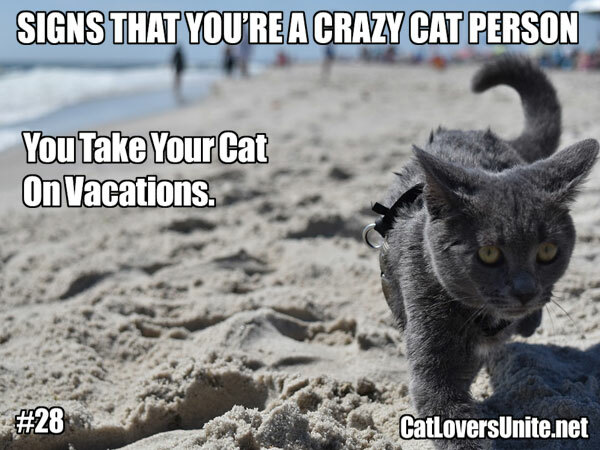 You may be a Crazy Cat Person if you take your cat on vacations! Some cats stay home when their owners go on vacations while others tag along for the trip. Whether it’s camping in a RV, driving to the cottage, or a walk on the beach – these felines get to spend time away from home with their humans. Clearly not all felines have the temperment to do this. But some do! 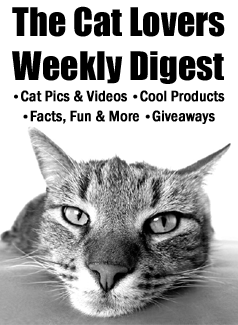 Do you take your cat on holidays?